Camp 2019 dates: June 17 – August 9, 2019. Camper are required to arrive at camp on June 16th. Forestry and Natural Resources majors who will have achieved junior standing by the beginning of the following fall semester, and who apply by the posted deadline. 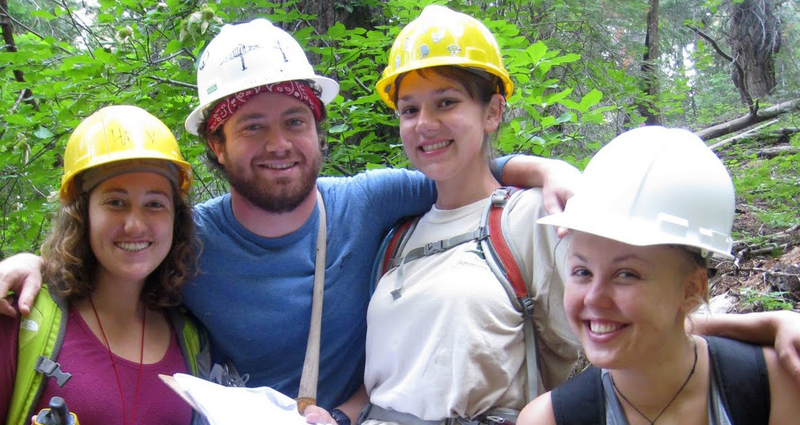 Conservation and Resource Studies majors who will have achieved junior standing by the beginning of the following fall semester, who apply by the posted deadline, and for whom ESPM 105A-D is part of their 8-course approved “Area of Interest” requirements. Environmental Sciences, Molecular Environmental Biology, Society & Environment, and Environmental Economics and Policy majors who apply by the posted deadline. ESPM, Range Management, or Master of Forestry graduate students or Integrative Biology majors who apply by the posted deadline. Students in Students in one of the majors listed above who apply after the posted deadline. Students from other majors on the Berkeley campus, or from another university. Admissions decisions are made by the Program Director in consultation with the faculty instructors. Admission is open to all qualified students. Students not enrolled in the University of California may register as Visiting Students and receive full academic credit. The first step in the admissions process is to submit a completed application. Summer Sessions is located in 1995 University Avenue, 2 blocks west of campus. Students can register there in person, or online at http://summer.berkeley.edu. The course control numbers needed to register will be emailed to students by the Program Director. The application period for the 2019 camp is February 25 – March 22, 2019.